Waste Management Helena: When Is Environmental Consulting Necessary? When Is Environmental Consulting Necessary? 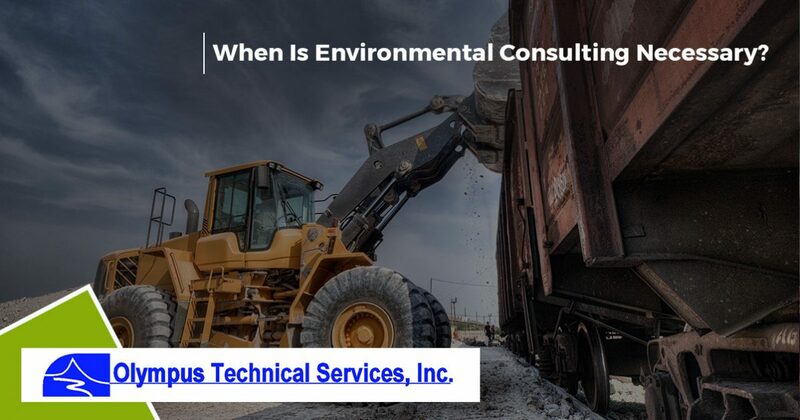 With a team of civil, geological, and environmental engineers, Olympus Technical Services, Inc. is fully equipped to provide your business with the leading environmental consulting services during your next project. However, you may not know exactly when receiving an environmental consultation from an expert is necessary. Fortunately, in today’s article, we will be taking a look at a few of the many instances when you should consider seeking consulting services from trained professionals. At Olympus Technical Services, Inc. we are the leading provider of environmental services to businesses in Billings, Helena, Boise, and their surrounding areas. With environmental services ranging from remediation, direct push drilling, emergency spill response, and daylighting, we are confident that we are equipped with the knowledge and tools to address your environmental service needs accordingly. To learn about just a few of the times where environmental consulting may be necessary for your business, continue reading more below. While mines can be used as an effective means for mineral extraction, there may come a time where the mine’s resources have been exhausted, or the mine may pose severe dangers to those that work inside of it. After a mine becomes unworkable, it is often abandoned and its broken down equipment left to slowly deteriorate. This is obviously an unnatural process, and can become a danger for the mine’s surrounding environment. Mine reclamation, however, can alleviate some of the many stressors that a mine can impose on its natural surroundings. The main goal of reclaiming a mine involves rehabilitating its surrounding areas so that it can return to a natural state that can be inhabited by wildlife. Olympus Technical Services, Inc. offers environmental consulting on mine reclamation projects to ensure that all environmental hazards and dangers that the mine in question poses are effectively taken care of. 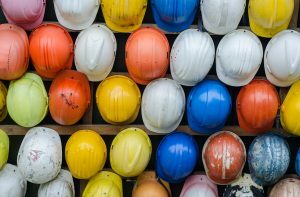 During large-scale construction projects, there are many variables that could cause something to go wrong while on the job. It is important to be up to date with industry codes and standards, and as such, our team of environmental service experts can help ensure that your next construction project is completed both accurately and lawfully. Our staff of professionals are trained to spot red flags that your construction site may present, and can make professional recommendations to help alleviate any worries your company may have as your project continues to progress. Properly disposing of hazardous waste is a challenge for many companies, and can result in improper disposal leading to a variety of health and safety concerns. For this reason, our environmental consultants are trained to inspect waste repository designs while making professional recommendations to improve the repository’s efficacy. This is just one of the many ways that Olympus Technical Services, Inc. can provide you with the recommendations needed to keep your company compliant with industry standards. While these are just a few of the instances where Olympus Technical Services, Inc. can be utilized, you can view our full list of environmental consulting services by visiting our website. If you have any additional questions or concerns, feel free to contact our friendly team of professionals today. We look forward to speaking with you!